Since the earliest dawn of mankind, man has looked up into the night sky and attempted to weave the existence of the stars into his own story of creation. Stars were named, given back-stories and supernatural powers so we could form some sort of connection between ourselves and heavens. Call these stories mythology, religion or faith, it remains a sad indictment of our modern times that two thirds of us are no longer able to look into the night sky and see our own Milky Way. That eight out of ten children will never be able to witness the wonder of seeing for themselves where we stand in the cosmos first hand. The common thread that connects us to our ancients, our forebears over millenniums, has been broken. It’s such a new betrayal it’s hardly started to register. After all, the eldest among us can remember seeing the vastness of our galaxy above them. They experienced the vastness of it all, they felt small and marveled at it. Our children cannot. Our desire to banish the dark as worked well. Too well. Millions of light bulbs across the planet throw their light rays in all directions and create a bubble of light around us we can no longer see through with the naked eye. In many places, even our technology fails to capture all but the brightest objects in the cosmos. Even though most people will never be able to see and appreciate the sheer overwhelming multitude of heavenly bodies, there are a few treasured pockets of empty space on the Earth where light does not block our view of the stars. Here are a few of those hallowed places. The Southern Celestial Hemisphere was introduced to the astro tourists by Earth and Sky at Mt John Observatory. Aoraki Mackenzie attracts people from around the world due to its clear dark skies that allow viewers to explore and interpret the Magellanic Clouds. These two distant dwarf galaxies are visible in the Southern Celestial Hemisphere. The mountainous park Aoraki Mount Cook National Park along with the Lake Tekapo is the must-visit places for astro tourists. The 82 acre Cherry Springs State Park in Pennsylvania is another hub for astro tourists that has gained popularity in the last few years. It is most famous for the northern lights phenomena only observable in high altitude regions. The annual Black Forest Star Party in the park is the highlight event among astronomers and amateur stargazers. Death Valley National Park of USA offers a close view of stars and attracts visitors with its gold-tier star-filled night skies. You can view the stars more closely with the help of powerful telescopes for a stunning view of star clusters. The special event nights at the park are worth attending due to the profound beauty of night skies. Death Valley was under Timbisha Shoshone Indians for centuries who were inhospitable to visitors but during the 19th century, the astro tourists were those who made their way to the gold rush seeking fortunes underground rather than high above them. The Atacama Desert in Chile is a 600-mile clean sky attraction for astro tourists and scientists. It is a high altitude region with all the favorable conditions for stargazing. With its limited cloud cover, reasonably dry conditions, and amazing elevation (5000m), the Atacama Desert is surely one of the world’s best sites for space observation. The world famous ALMA Observatory is also located in this region. It has the most powerful radio telescope connected with 66 satellites and is expected to join a few other innovative telescopes in the near future. This telescope offers a deep and detailed view of the space and is a dream experience of all amateurs. There are more than a dozen other observatories are scattered on the peripheries of desert across the Elqui Valley. The best place to gain a personalized experience of gazing stars is the Elqui Domos outside the desert. This place is not only a home for many observatories but also offers hotels and timber cabins with open ceilings or glass roofs for a stunning view of night skies. Jasper National Park is famous for its spruce and pine forests leading to the magnificent Canadian Rockies. This place offers a beautiful view of night skies. The most looked forward to the event here is the Dark Sky Festival held in October where multiple activities are arranged for young astro tourists and amateur viewers like the daytime solar viewings and extremely popular telescope workshops. You can also find rocket launches for kids and other related activities. The place is open all year round for the tourists. The sleeping volcano of Mauna Kea in the Hawaii Island is a home for thirteen huge telescopes that allow astro tourists and visitors to view the stunning beauty of non-polluted skies and detect light from distant galaxies. During the day this 4200 m high volcanic mountain is the center of attraction for high elevation enthusiast. If you want to experience the beauty and grandeur of some of the darkest skies measured by the IDA (International Dark-Sky Association), you have to arrange a visit to this private reserve in Namib Desert, Africa. NamibRand Nature Reserve is a beautiful sandy bank between the Nubib Mountains. This place is known as Africa’s First Dark Sky Reserve and offers stunning views of the moon, planets, and constellations. The observatory lodged by the Sossusvlei Desert attracts many astro tourists and stargazers here along with the safari groups chasing zebras, leopards, and Oryx. Tenerife has the clear dark skies needed for observing stars and space bodies as it is near to the equator and away from the tropical storms. The main attraction here is the Starmus Festival held twice a year. This festival hosts amazing screenings, interesting lectures, and outstanding space-themed parties. The visitors can also experience a cable car ride to the top of volcanic Mount Teide and enjoy dinnertime stargazing. The Teide Observatory is open for visitors from April till December but is a hub for astro tourists all year long. The Kerry Peninsula between the Kerry Mountains and the Atlantic Ocean is a heaven for astro tourists wanting to experience the nebula, star clusters and the Andromeda Galaxy, all with the naked eye. The recently installed laser beams and telescopes take the experience of viewing night skies into the future. It became a Dark Reserve of the 21st century. In far eastern Canada’s Mi’kmaq Lands and Acadian Skies, Nova Scotia is another wonderland for astro tourists. It takes the effort to reach but once there, you get a chance to visit Trout Point Lodge, the world’s very first Starlight Hotel. It’s also an opportunity to learn about the indigenous Mi’kmaq nation and their stories about constellations and the changing of different universal phenomena. While there certainly are some amazing places in the world to stargaze, you don’t always need to leave your hometown to get intimate with the skies. You just need to prepare and equip yourself better to take your stargazing to the very next level. Here are a few tips to keep in mind. When you have light pollution clouding your line of sight, you need to be on a spot as high up as possible to ensure there’s nothing obstructing your view. While doing it, you should also make a conscious effort to get away from streetlights, and that is mainly because a streetlight can impair your dark adaptation senses for several minutes. You should be even more careful when there are new LED streetlights around, as they will negatively affect your stargazing experience. 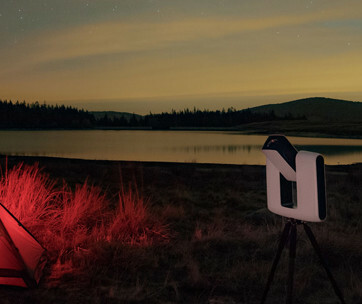 When stargazing is what you love, be sure to invest in a red flashlight because it will save you from tripping in the darkness. You should avoid the regular white LED flashlights because of the reason mentioned already; however, the red light will not affect your eyes in the same way as blue or white light does. If you don’t have a red light around, simply get a red paper or cellophane and wrap it around your regular rechargeable flashlight to make it usable. While you may feel tempted to buy high-end telescopes, you may want to wait a bit longer, especially when you’re a newbie stargazer. You need to understand that a high-tech telescope is tough to use, and it is so easy to become frustrated while trying to use it for the first time, which is going to affect your interest in stargazing as well. Your goal should be to get familiar with the night sky first, which is actually trickier than you might think, and then learn how to identify anchor objects, like constellations or planets. 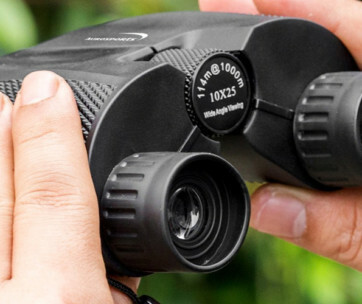 You can certainly get yourself good quality night vision binoculars to start with, but make bigger investments once you’re familiar with the process of navigating the sky. 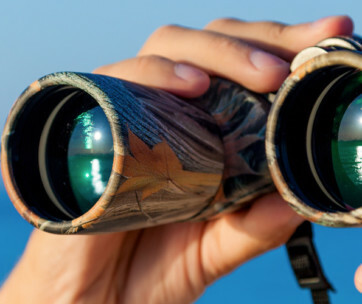 Provided you buy some nice quality binoculars, you will be amazed to see how impressive they are at providing you with more details about different objects. They can certainly help you get more info about the moon and its craters. So, start with binoculars and once you know what you’ve put yourself into, then switch to the massive magnification of telescopes. 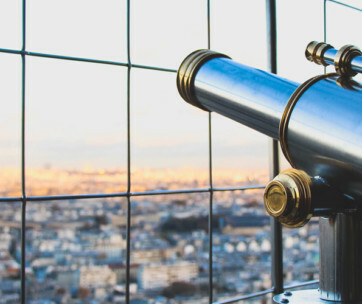 Whether you’re arranging a stargazing tour to a different city or country, or you’re simply interested in doing it in your own local area, be sure to develop some understanding of when to arrange your outing. Generally, you will be able to enjoy the views when the humidity level is its lowest. It means you will have to deal with the cold to get the best stargazing experience because the sky is usually at its best on clear, cold winter nights. You are less likely to have the same experience on summer evenings because they produce a haze that is going to blur your view. Moreover, you should go stargazing when the moon is in a gibbous phase. Many people are under the impression that they can enjoy stargazing more when the moon is shining the brightest, but the opposite of it is true – the best time is when the moon is not present in the sky. Other than these tips, you should also consider getting a star chart, which is going to help you learn the skies in a much better way. 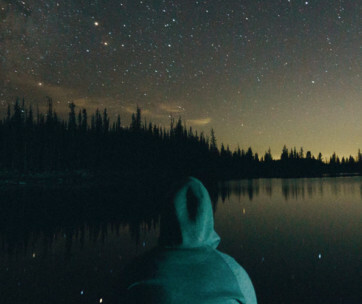 Moreover, you may want to invest in a few stargazing apps to hone your skills and make your stargazing experience a lot more satisfying. Being able to explore the sky at nighttime is an amazing skill to have. There are so many impressive places in the world to stargaze and amaze yourself in a unique way, but you can get to learn more about stargazing right from your own home. 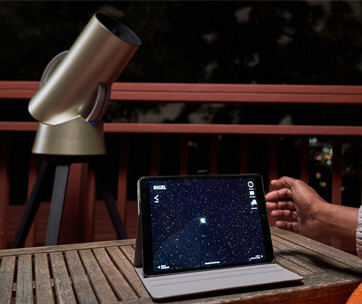 A few apps, some inexpensive stargazing gadgets, and knowledge about the sky will help you a lot. As a city dweller, you may enjoy the view of the moon itself when the moon is in the waning or waxing phases. So, just get your binoculars out and get up close and personal with the moon and the stars.